Sedona’s stunning landscape sparks a sense of wonder and awe. Regardless of whether it’s your first visit to this gorgeous region or your 50th (and you will come back), there is something about this destination that calls to people year after year. 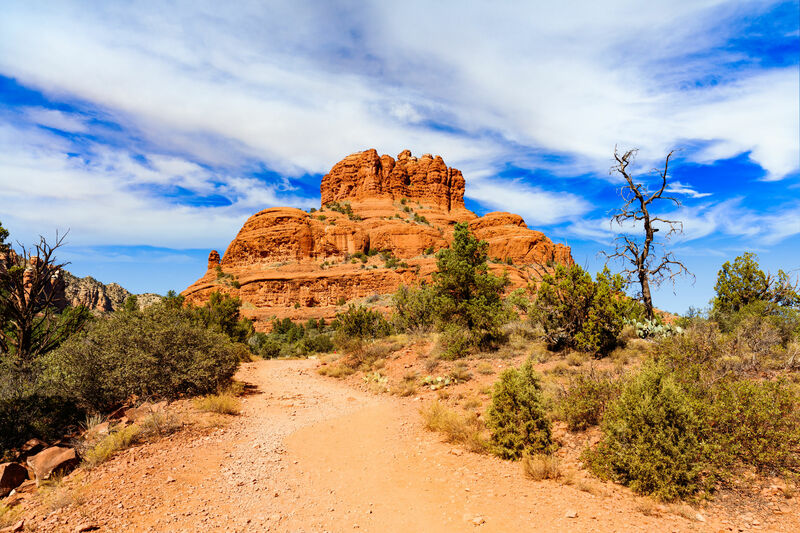 Sedona, Arizona is extremely popular for it’s fantastic outdoor recreation, and the nearby state parks and sprawling wilderness areas are loved for their superb hiking, biking, and climbing. If you live for majestic views that take your breath away time after time, you’ve come to the right place. Yes, the landscape and recreation are amazing, but is there something else that draws thousands of people to this destination? Locals and Sedona lovers alike will tell you, yes. For many, this is a spiritual destination. A sacred place that nurtures the soul and promotes transformation. Thousands of people travel to this area every year to search for the vortexes nestled within the red rock and experience the peace and magic for themselves. Vortexes are thought to be centers of energy. Places where energy collects and swirls, promoting healing and transformation. People often say these spots make them feel alive, recharged, and more connected to the Earth. 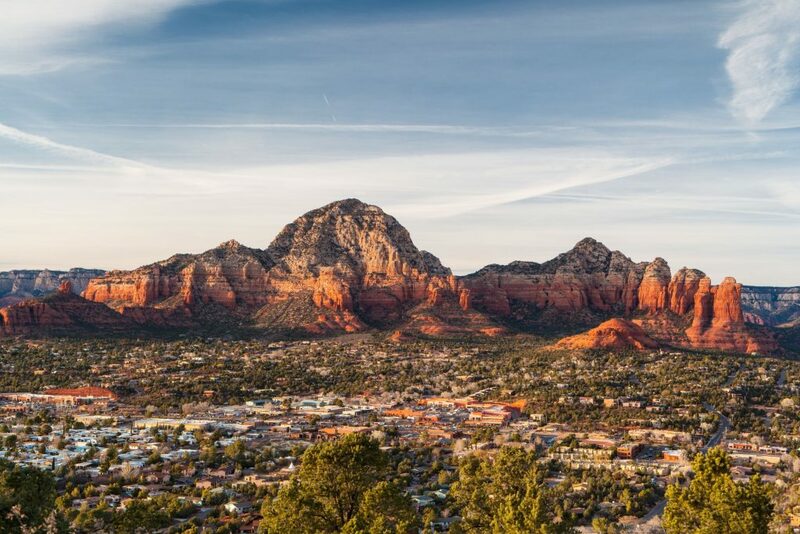 Sedona is home to four main vortexes that people often seek out for meditation, yoga, and other healing rituals. Others just feel at peace in these sacred places and make them apart of their weekly, monthly, or yearly hikes. There are a number of companies and guides that offer vortex tours, but many people choose to experience these places on their own. If you’re setting out on a new journey or looking for more clarity in your life, enlightenment may be found at the vortexes. So, where can you find this magical, magnetic sites? Here’s what you need to know. Airport Mesa is likely the most visited vortex site due to its close proximity to town, but the 360 degree views here are absolutely breathtaking. The downside of this location is the limited parking. Come early in the morning to avoid the parking struggle and the crowds. The hike to the vortex is extremely short, but it does require a quick jaunt up a steep trail and a small scramble to the top of the Mini-Mesa where the vortex is thought to be located. After you’ve gained some clarity and feel a sense of balance, you can continue onto the Airport Mesa Loop Trail. Named for its distinctive bell shape, Bell Rock is popular for meditation. The entire formation is thought to be a powerful vortex, so it’s not necessary to climb to the very top to experience the spiritual energy here. If you’re in need of some energy and inspiration, this is the perfect place to do a yoga flow and set positive intentions. There is plenty of parking at this site and if you’re looking for a great hike, you can access easy, moderate, and challenging hikes from this location. 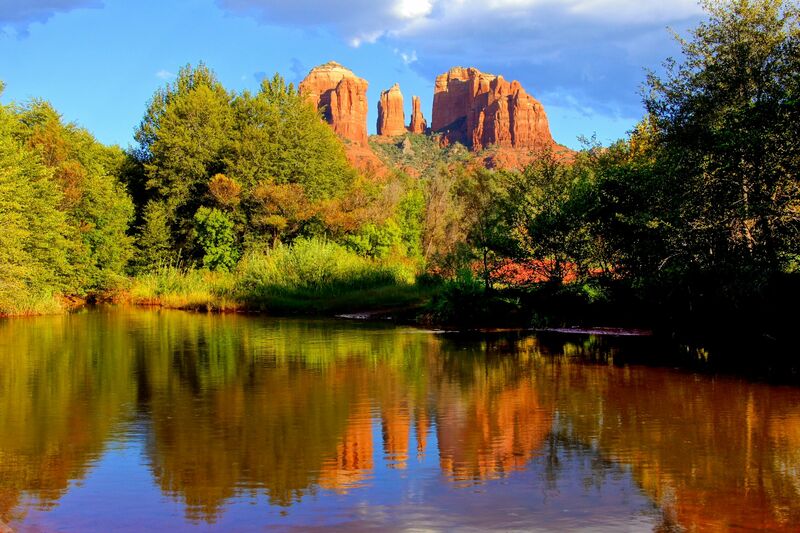 Cathedral Rock is one of the most photographed sites in Sedona. The hike to the “saddle” vortex (located between the two main spires) is short but extremely steep so it isn’t for the faint of heart. Most people say they can feel the vortex on the first part of the hike along Oak Creek, so it isn’t necessary to climb to the top to have a great experience. The energy here is feminine and is thought to be soft, nurturing, and welcoming – a place for quiet contemplation. The Boynton Canyon vortex can be reached after a short, easy hike. If you are looking for balance in your life, this is a great site to stop, breathe, and enjoy the sweeping views. If you’re hiking as a family, this vortex is a good option. 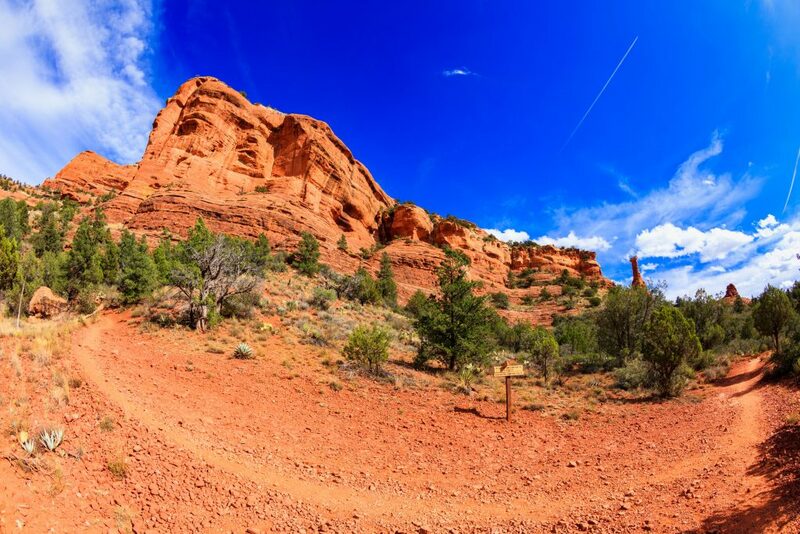 Whether you want to hike, bike, climb, take in the majestic views, or feel the awesome power of these vortexes, Sedona is definitely worth a visit (or ten). If you’re ready to start planning your Arizona getaway, head over to Camp Native and find your perfect outdoor accommodations!